Are you looking for a secure and protective encasement for your vehicle? Have you considered getting a Carport? 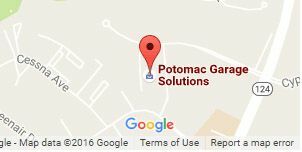 Potomac Garage Solutions offers a revolutionary carport system that can be easily situated on your driveway or other ground surfaces on your property. 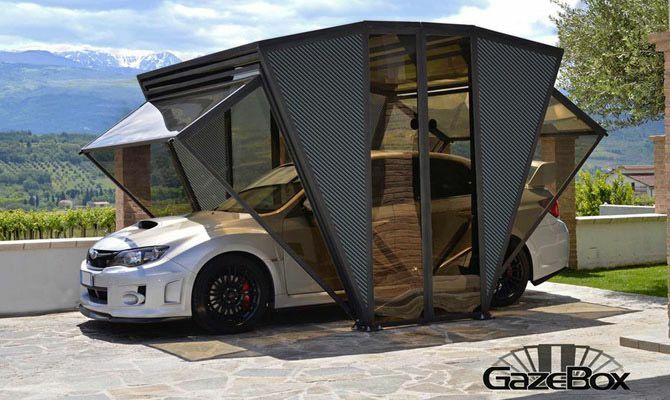 The Carport, known as the GazeBox, is a product that can be an ideal solution for property owners looking for additional storage of their cars, motorcycles and other vehicles. 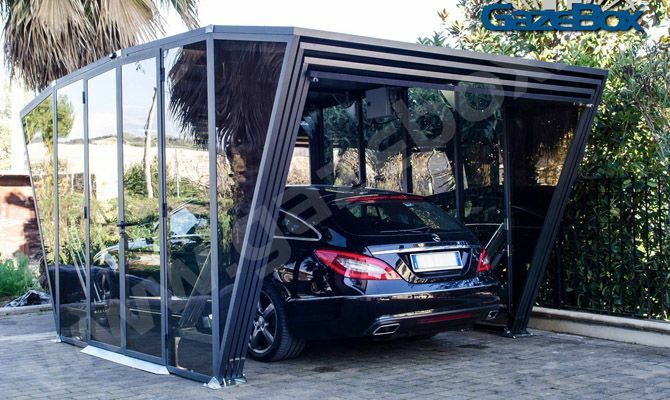 The GazeBox is a revolutionary foldable cover system that can be used as an enclosed carport or as a gazebo. Imported from Italy, the specially designed polycarbonate panels featured on the GazeBox are UV resistant and offer protection from all weather, birds and tree debris. 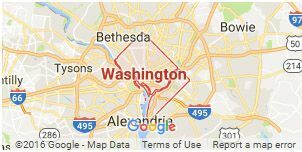 It is easy to install, requires minimal space and, unlike traditional structures, is portable. GazeBox is customizable with vinyl wrapping and your choice of LED light color. It is designed in two models for car and SUV storage and two models for motorcycle storage. All models are constructed with and iron framework with an aluminum composite roof. 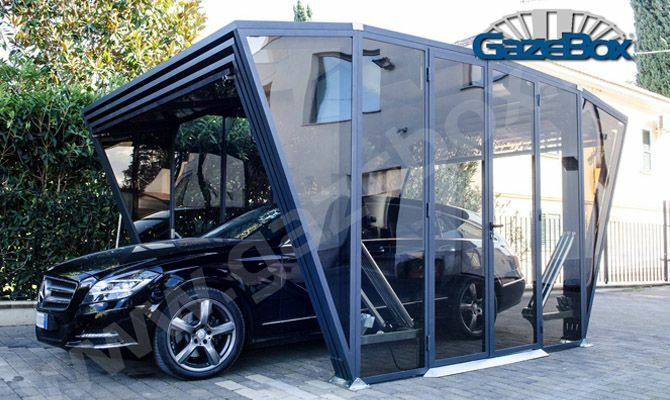 GazeBox Luxury and MOTO have compact polycarbonate walls and fan panels for ventilation and an optional solar control. GazeBox Premium is constructed from alveolar polycarbonate wall and fan panels. 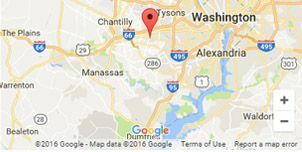 For more information about our Carport Installers, contact Potomac Garage Solutions today at 240-650-2622.